For many people, healthy foods and high-quality products are just too expensive. 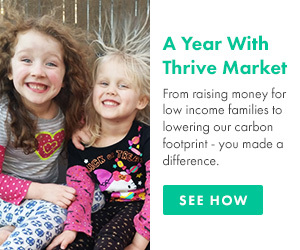 We’re out to change that—at Thrive Market, you’ll find all the natural and organic goods you love at much more affordable prices. 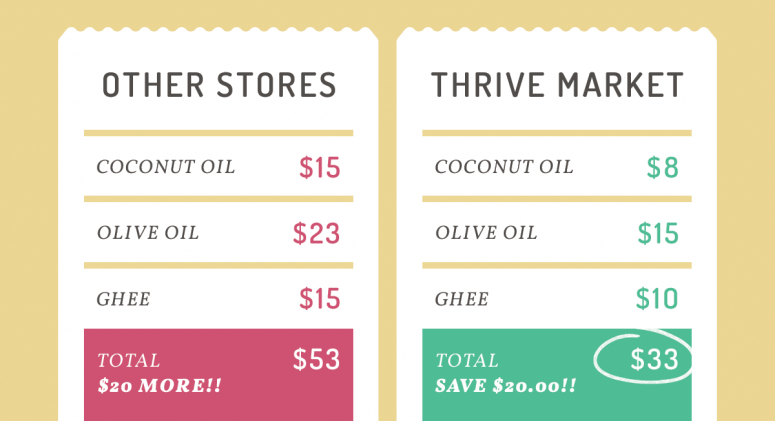 Check out how much we saved on cooking oils just by shopping on Thrive Market! It's no secret that restaurants are a little overzealous with oils. When you eat out, you could be taking in hundreds of extra calories from oils alone. 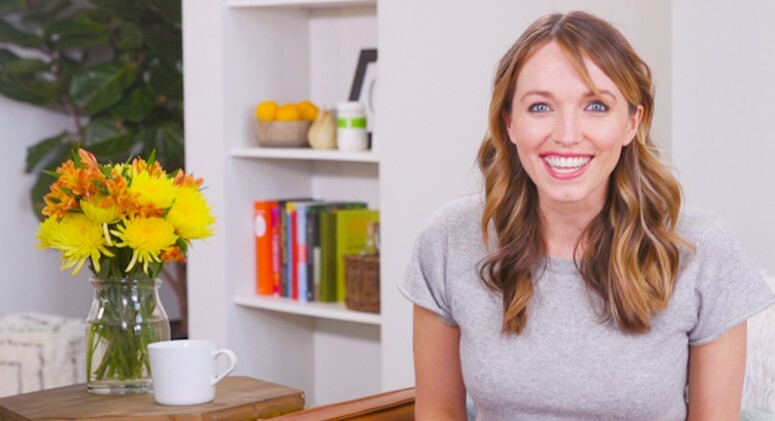 But that doesn't mean you should steer clear of oils—healthy fats are an essential part of balanced diet. And when you cook at home, you not only save money, but also get the chance to choose healthier cooking oils and fats. Olive oil is an essential cooking aid that doubles as a non-stick oil and flavor additive—not to mention it’s surprising beauty uses! Bonus: it’s great for high-heat cooking thanks to a relatively high smoke point. Of course, we can’t deny the fan-favorite coconut oil, which adds a nutritional boost and an extra hint of flavor to any dish. We have a feeling you’ll be restocking your jar soon, once you discover how many different ways you can use it. And then there’s ghee, a healthier swap for conventional butter. This traditional Indian pantry staple is lactose-free—it’s really just fresh butter that’s been clarified, or cooked slowly until the milk protein separates. Aside from using it in place of butter in pretty much any recipe (1:1 ratio), ghee might become your new go-to (see more ideas here). Take charge of your meal and use oils at your discretion. 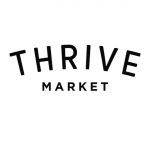 Save time, money and calories by satisfying your kitchen needs at Thrive Market, where everything comes at a 25 to 50 percent discount!